Riyad Mahrez insists his penalty miss against Liverpool will not damage his confidence. 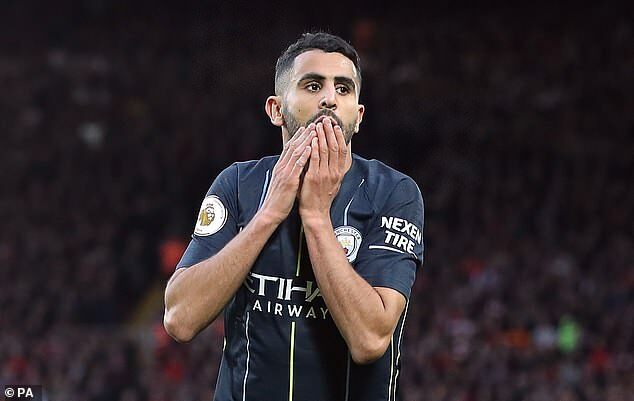 Manchester City's record signing fired over from the spot five minutes from time as the champions played out a goalless draw in their much-hyped clash with their title rivals at Anfield on Sunday. The former Leicester forward was entrusted with penalty-taking duties by manager Pep Guardiola - to the frustration of striker Gabriel Jesus - as regular choice Sergio Aguero had been substituted. The was the fifth spot-kick the Algeria international has missed from his last eight attempts. 'It's football, it's life,' said Mahrez, who was making just his third Premier League start since his £60million summer switch to City. City had only won once at Anfield since 1981 and that was as far back as 2003. Mahrez had to put on a brave face after squandering a glorious opportunity to end that drought by blazing well over the bar. City manager Pep Guardiola apologised to striker Jesus after the game for denying him the chance to take the spot-kick. The Brazilian was keen to step up after Leroy Sane was fouled by Virgil van Dijk late in a cagey contest but Guardiola sent out a message asking him to defer to Mahrez. 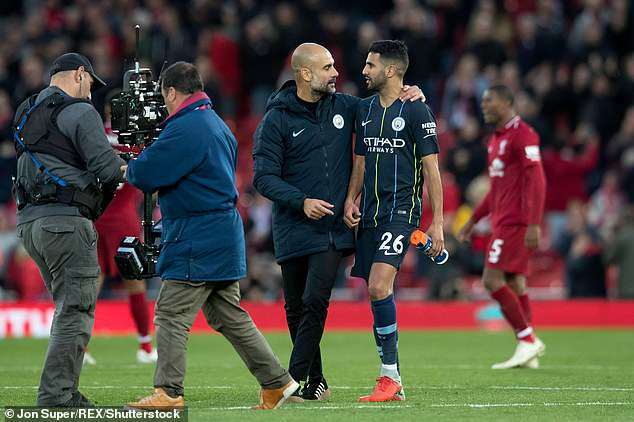 Guardiola said that he had been impressed by Mahrez's penalty-taking in training. Jesus accepted Guardiola's apology but could not hide his frustration with the situation. The 21-year-old said: 'Obviously I'm not happy. As Riyad, I've been practising (penalties). I would like to have taken it, I was confident, so I was not happy that they did not allow me. The result left City, Liverpool and Chelsea in a three-way tie at the top of the table with 20 points from eight games. Despite the penalty miss, Guardiola was happy with the point because City suffered at Anfield in two defeats last season. On this occasion he modified his tactics to nullify Liverpool's threat and Mahrez felt that approach served the team well. Mahrez said: 'We were very strong defensively. It showed we can do both - have the ball and be very strong as well.